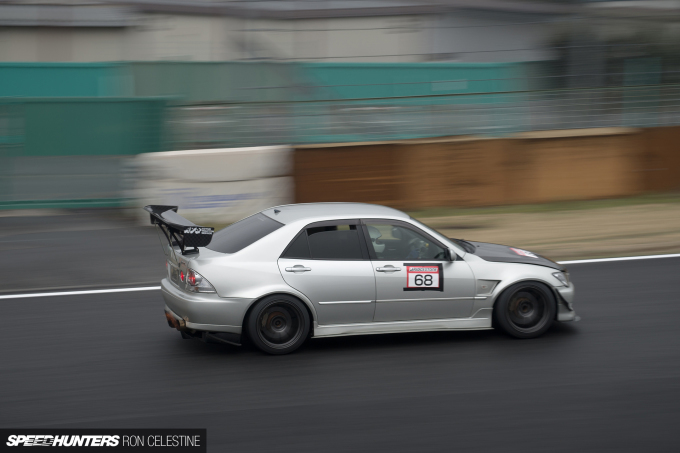 Waking up at 6:00am and hearing the sound of rain hitting your window is usually not an ideal way to start your day – especially when you’ve covering a time attack event at Tsukuba Circuit for Speedhunters. 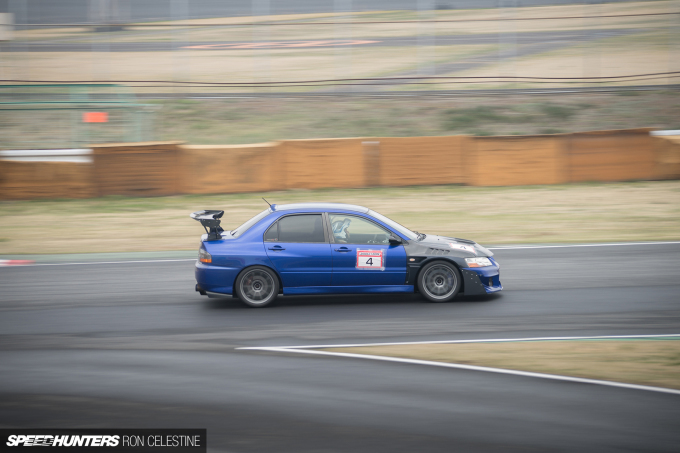 Even knowing I’d have to get wet, the opportunity was one I was prepared to take full advantage of, and a few short hours later I found myself entering the main gates of the legendary circuit north of Tokyo, ready to see what the Hyper Meeting was all about. 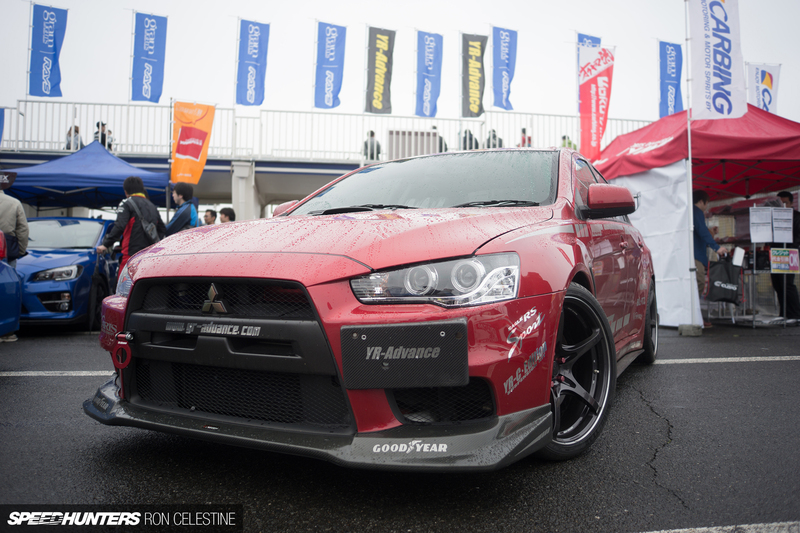 For those who aren’t familiar with this event, it’s basically centered around the all-wheel drive monsters that Japan has been churning out for decades. 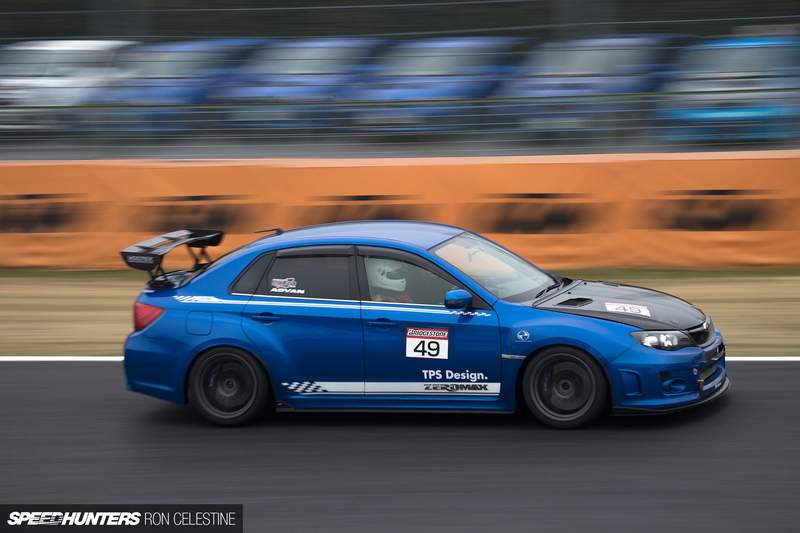 But it’s in no way just limited to Lancer Evolutions, Subaru Impreza and the like. Shops such as D-Language, Shaft Auto Service, and AVO Turboworld to name a few, came out with their time-attacking machines and demo cars, and the common goal of breaking track and personal records. It’s this obsession that allows tuning shops to keep pushing that envelope and discovering if the outer limits are truly the limits. Even though the rain was falling pretty steadily by the time I arrived, the turnout wasn’t as bad as I thought it was going to be. 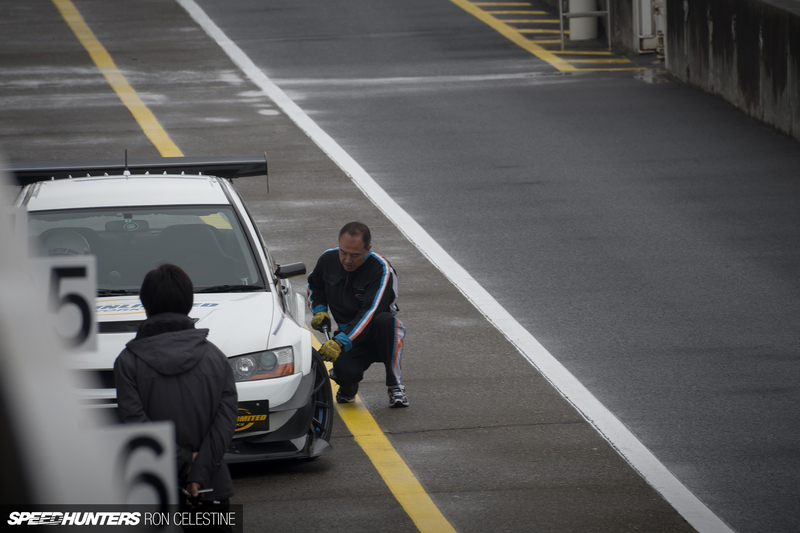 Such is the dedication of Japanese car guys! 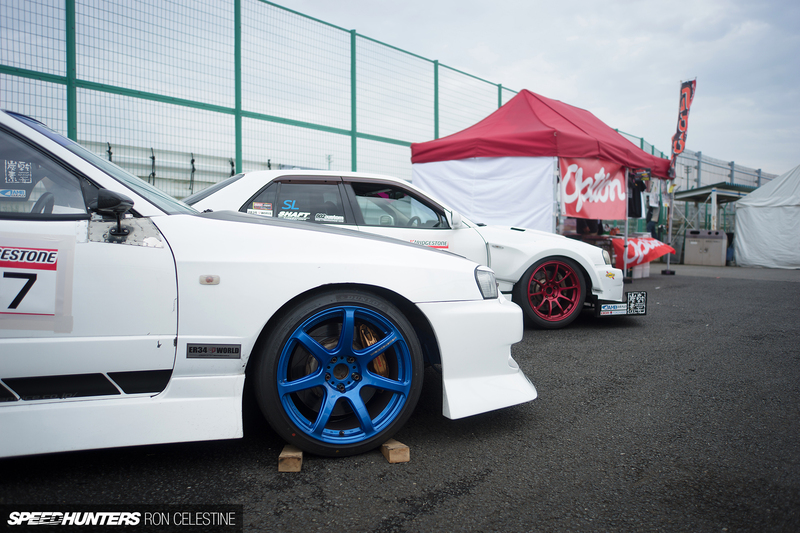 I initially came across a Subaru club line-up, which turned out to be part of a parade run at the end of the event. I was impressed at how much dedication to the brand the owners showed, some even paying homage by modifying their cars to resemble those of the 2003/2004 Subaru World Rally Team. This should give you an idea of how wet the track was, but in no way did the slippery conditions stop the drivers from pushing their machines hard. Many of those that did were entered in the Hyper Sedan Attack group. 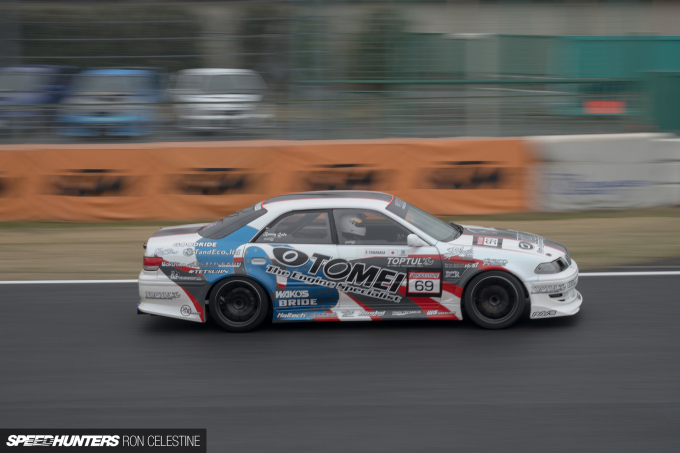 Seeing 4-door family cars being driven to the limit was impressive, and it was Formula D driver Kenji Yamanaka in his drift-spec Tomei JXZ100 that came up top, pushing his big Toyota around each corner and fighting with oversteer. 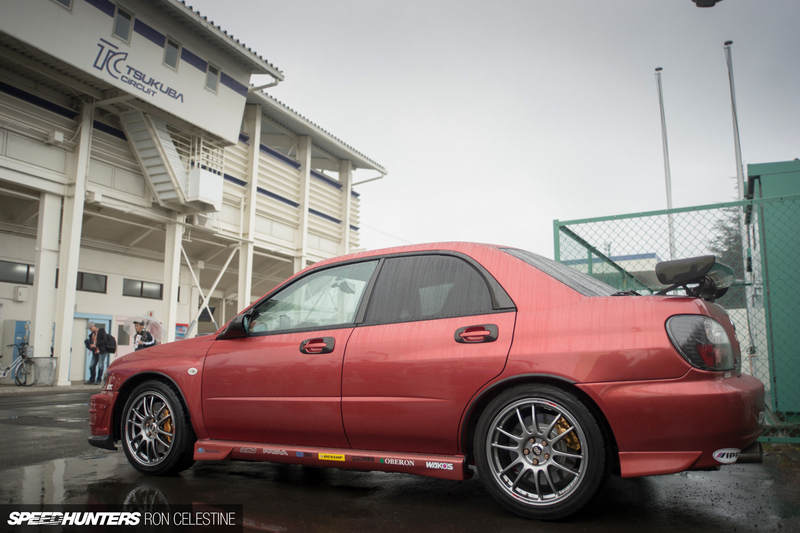 Joining Kenji in the 2JZ club was the C&Y Sports Altezza which was shooting flames on the approach to Turn 1. Shaft Auto Services from Hachioji also entered the Hyper Sedan Attack group with a pair of monster ER34 Skylines. You may recognise the first one from Dino’s spotlight on it a couple of months ago. 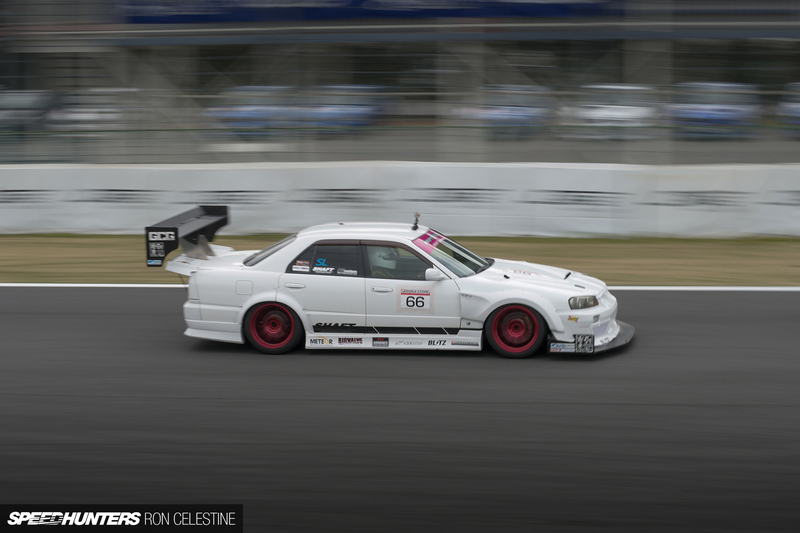 Even with all the downforce-generating aero, it still wasn’t enough to keep the rear end from kicking wide, although I’m sure that had something to do with the 700hp RB25 under the hood. 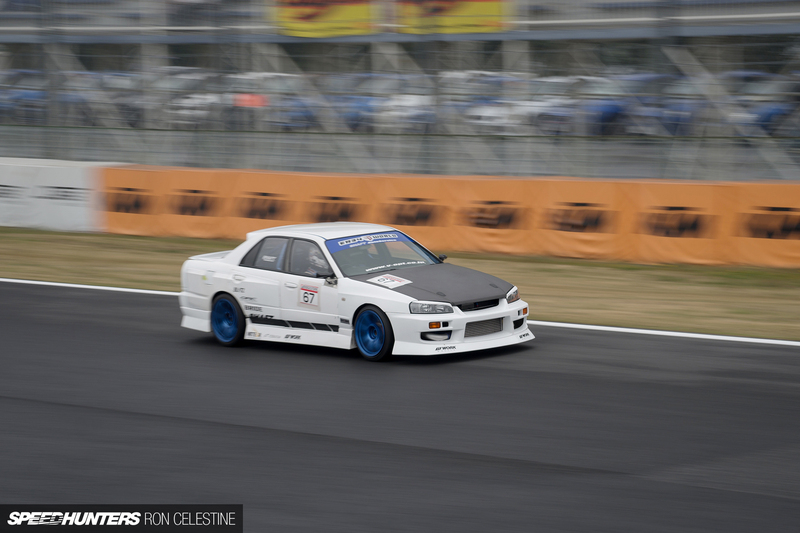 The second one, well, it doesn’t pack a highly modified RB25, nor even a Nissan engine for that matter. What it does have though is a Toyota 2JZ. I guess it wouldn’t be Shaft Auto Service if there wasn’t something interesting under the hood, right? 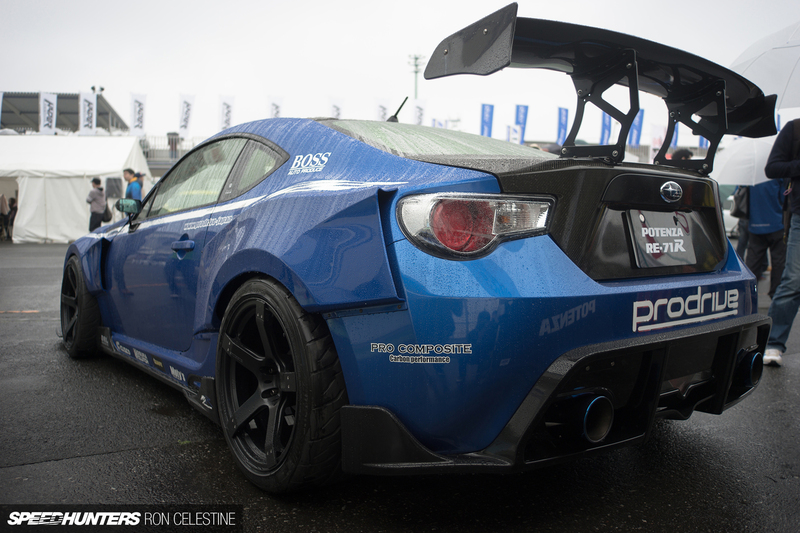 After the Hyper Sedan Attack group finished their runs on the damp track, I decided it would be a perfect time to check out the paddock and take a look at the vendors and demo cars. 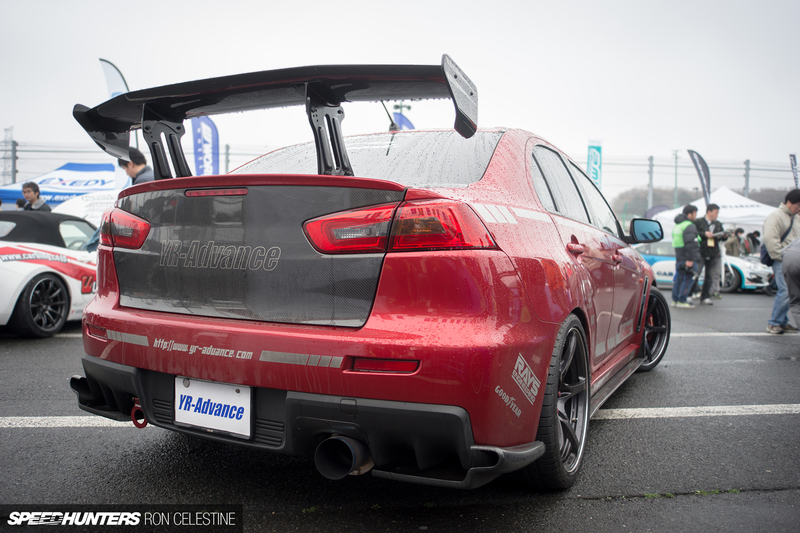 One of my favorite Lancers at event was this YR-Advance CZ4A Evo X.
I really liked the 19-inch, forged, one-piece RAYS Volk Racing G50s it was fitted with. From the front to the rear, I couldn’t find an angle that this car didn’t look stunning from. Unlimited Works never misses an opportunity to participate at a track event, and this time around the guys brought out their time attack CT9A. The driver would make a couple of hot laps in the Evo IX, then come back into the pits to have the tire pressures checked and adjusted before heading back out for another attack. Running the optimum PSI can make all the difference when you’re trying to shave off milliseconds. 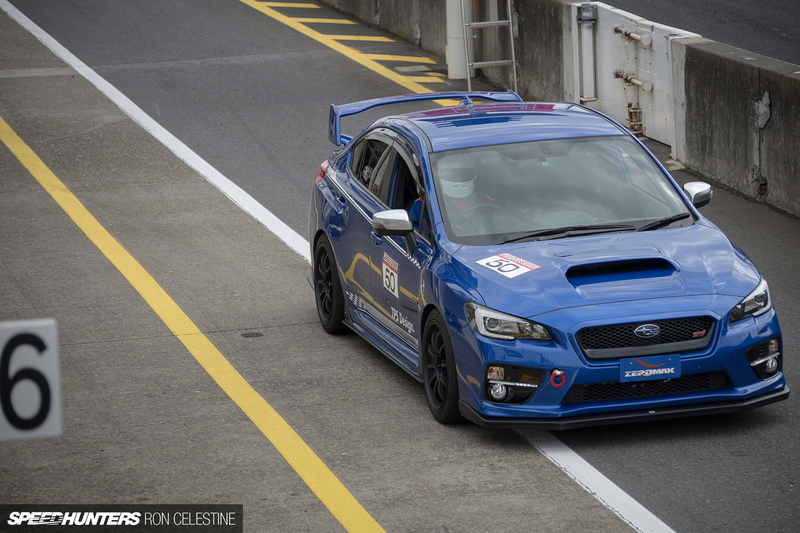 I just caught ZeroMax’s VAB WRX STI as it was exiting the pit lane after a quick pit stop. 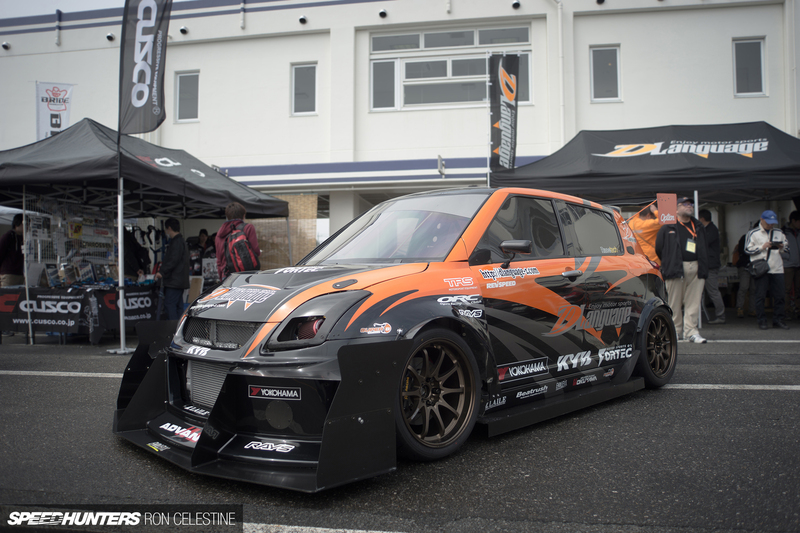 If watching time attack cars racing around Tsukuba isn’t really your thing, what about Kei cars? A group of Suzuki Alto HA36Ss battled against each other in a five-lap race which greatly entertained the audience. 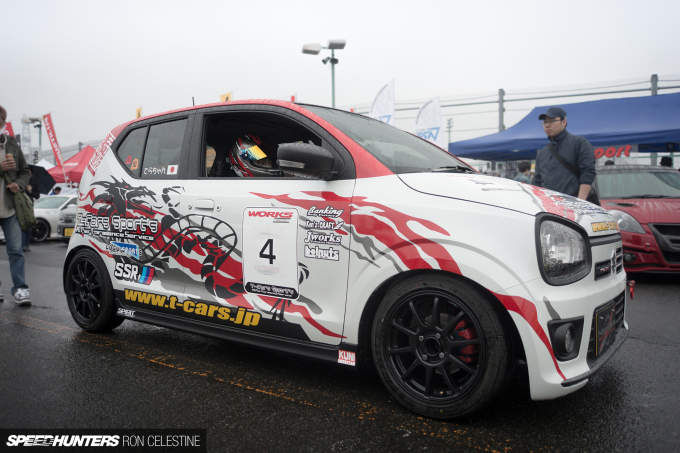 Kei cars are some of the cheapest and easiest ways to get into racing in Japan so they do generate lots of interest. Moving towards the end of the paddock, I spotted a crowd gathered around a vehicle that seemed a little different from everything else in attendance. As I got closer, I realized it was the full carbon time attack Soarer from AutoBahn that Dino ran a spotlight on back in December. This thing is absolutely nuts, and with a rebuilt engine is now running in the 54-second range. Oh, and 54-seconds still isn’t quite enough for its driver Kunihiko-san, so the evolution of this Soarer is far from complete. Work had a stand set up complete with an STI sedan to show off its performance-oriented M.C.O Racing Type CS wheels. 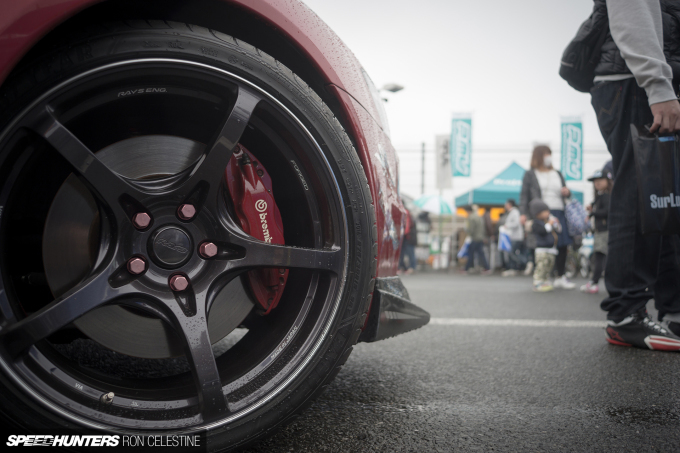 There’s something so Takata NSX about this colour combo, don’t you think? The Subaru Levorg is gaining popularity in Japan now that its big wagon brother has gone a little luxury and high-end. 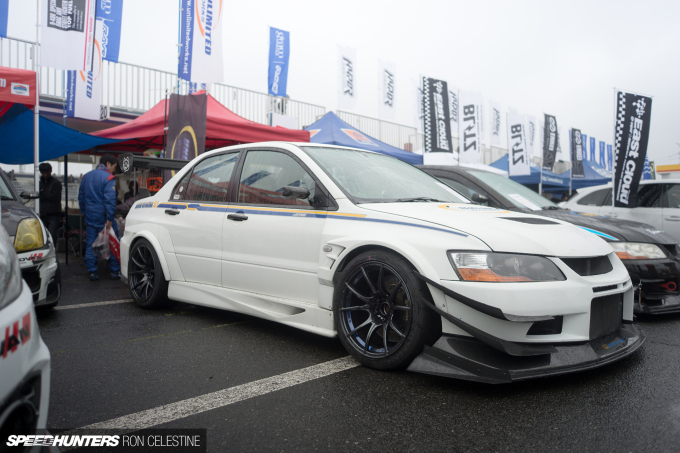 This new model does go back to the Legacy’s sports roots, especially when dressed up in Varis aero and with a set of Prodrive wheels slapped on for extra measure. But being CVT-only sort of defeats the whole exercise. Subaru sure is confusing at times! 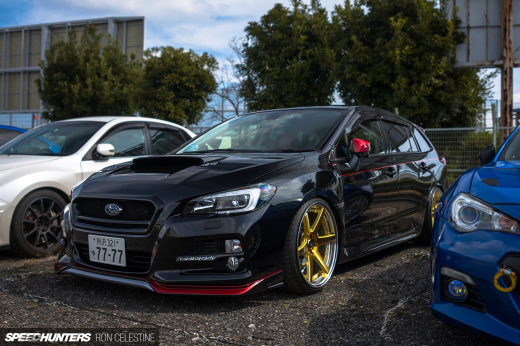 AVO Turboworld brought out both its Levorg VM4 and ZC6 BRZ time attack cars. 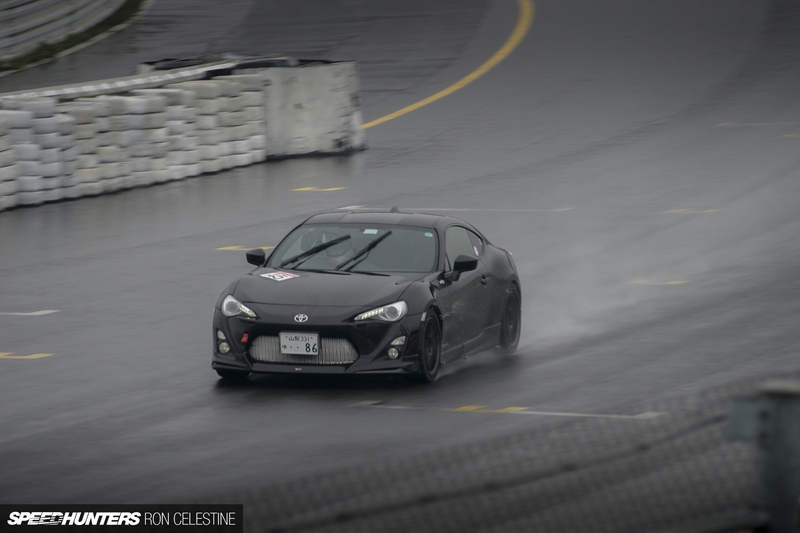 Due to the weather, the BRZ’s best lap was a 1’02″170. The 57-second, TC2000 record-holding Suzuki Swift from the masterminds at D-Language was only on display unfortunately, so I never got to watch it in action. Since the weather was getting better, it was only natural for the drivers to push their cars harder in pursuit of a fast time. But sometimes they would push to the point of no return. You never really want to see any accidents, but it comes with the risk of racing. Fortunately, no one was hurt in any of the shunts that happened on the day. It was interesting to see how efficient the track staff were at cleaning up and making sure the track was safe before allowing other cars to race again. 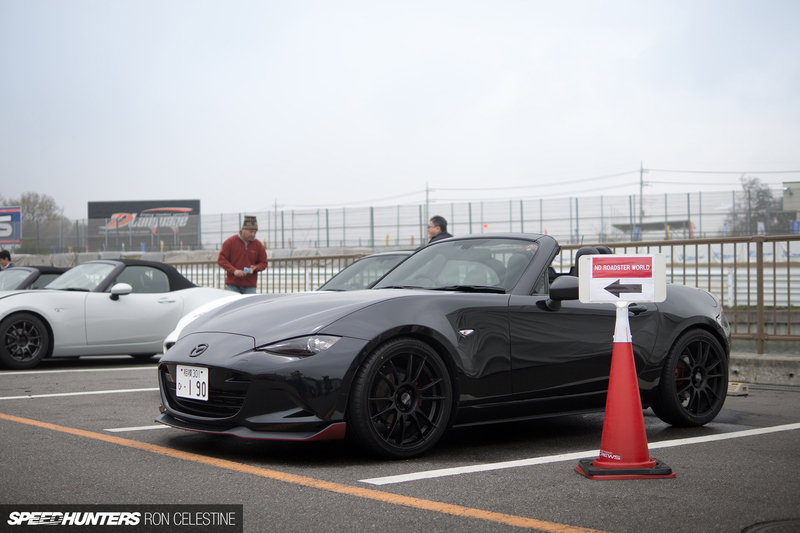 With the release of the ND Roadster, a group of enthusiasts also gathered for the Hyper Meeting. It was a little random since the event wasn’t really centered around Mazdas, but what is Japan if not a little random at times, right? They had some nicely customised examples too; this particular one you might remember from our Tokyo Auto Salon coverage back in January. 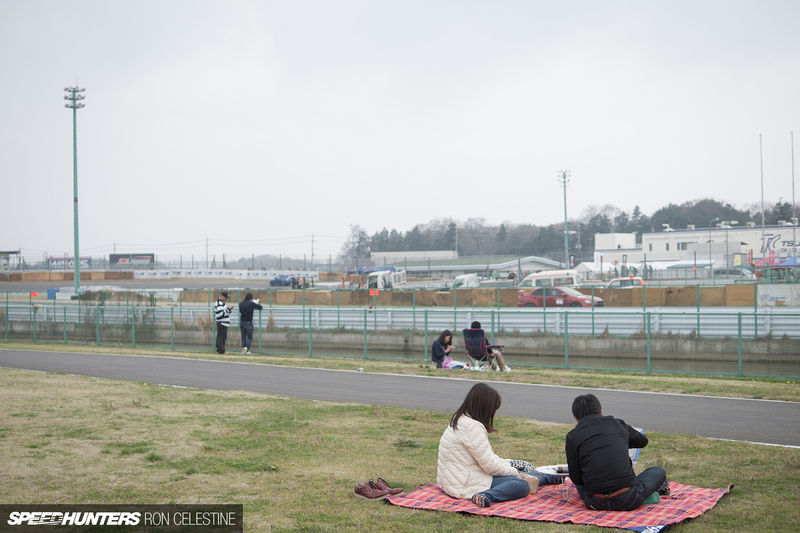 Speaking of random, who would have guessed that Tsukuba Circuit would be the perfect place for a picnic? Cars and food: the fastest way to a man’s heart. As the event came to a close, the aforementioned parade of Subarus happened on track. 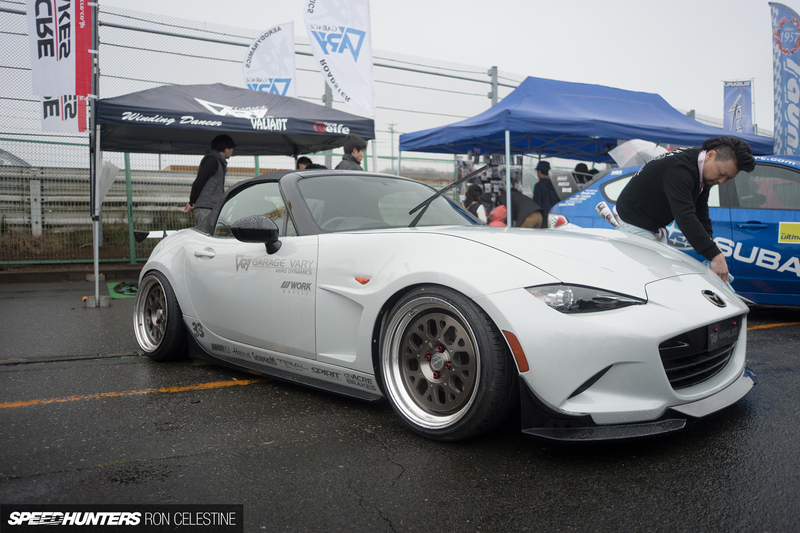 Although the overall turnout at Hyper Meeting 2016 was lower than expected due to the weather conditions, everyone still seemed to have a great time. And our coverage isn’t over yet – stay tuned for some spotlights on the cars that I thought deserved a little extra attention! 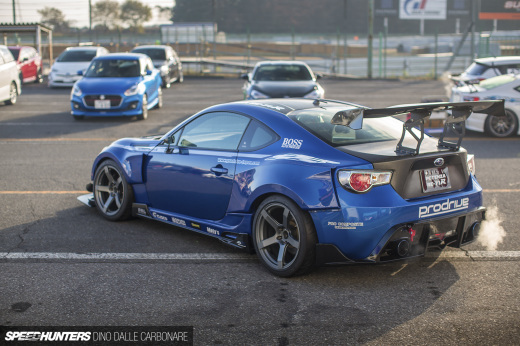 Anyone know what widebodykit the blue BRZ have ? Looks like you could fit a family of four on the Autobahn Soarer's front splitter..
We have now have a Levorg competing in the BTCC this year with support from Subaru UK, looks quite an imposing beast, 350bhp + and rear wheel drive! 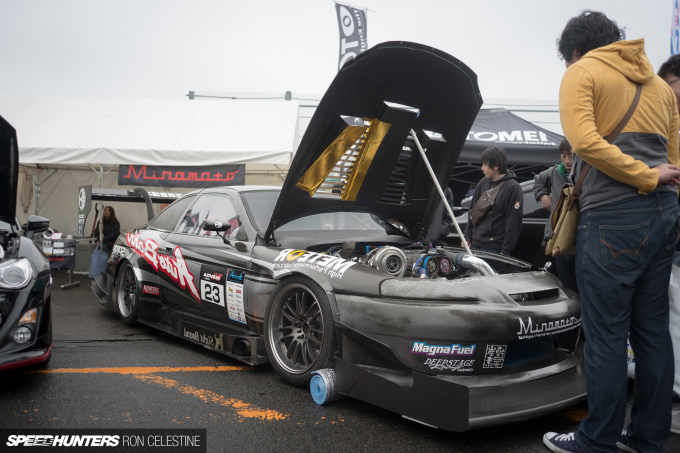 Ive been in the car hobby for too many years to count and I love all kinds of cars but the way you guys ramble about how the Japanese seem to be the greatest of all builders, drivers and the ultimate car culture is way off base in alot of ways! Showcase some American cars, more German cars....a more diverse cross section. Just my 2 cents. Super article. Would love to go to one of these events sometime. @Mercedes007 have you even looked at all the other recent articles? 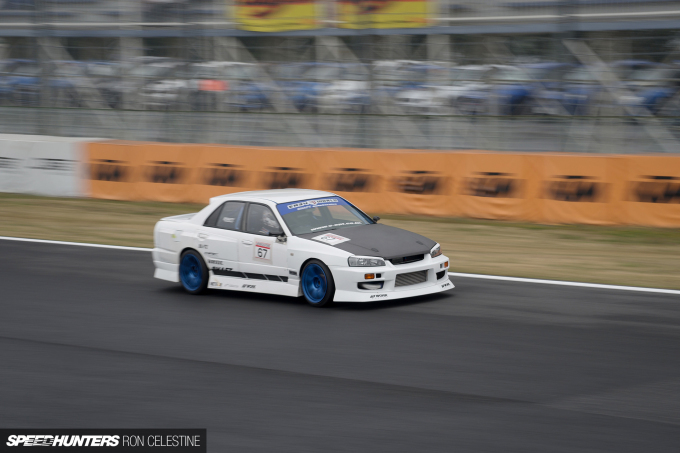 Dubshed, Vaughn Gitten, Malaysia, Drift Matsuri in Australia, Formula drift, Mike's STI, Russian X3 to name a few.. Yeah, there is a lot of Japanese coverage cause people love it, and people ask for more in the comments, get over it. Dino, could you or anyone shed some light on this for me?? 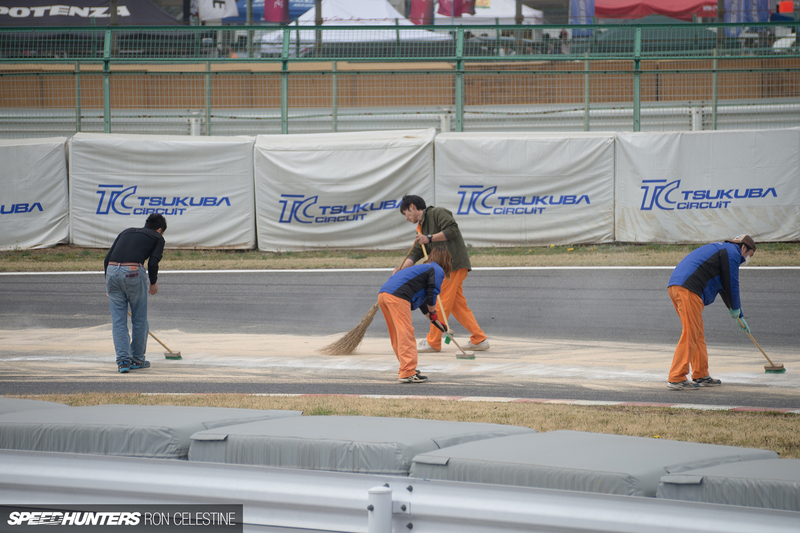 Japan is filled with such smart people, creating advance machines and technology but somehow they cant catch up with the rest of the world in the area of brooms lol WHY?!?!? Yes, ive checked out every one of those! Great reads! I just would like to see more! Oh and if you read the comments below those youll see THOSE are the ones folks want more of. Thanks for the subie fix! Thanks for such an awesome coverage! Looks like it was a fantastic day. Loving the subie coverage. Geez that Swift is a piece of art!